Find Single Output Switching Power Supply, LED Power Supply, Heaters And Thermocouple on Industry Directory, Reliable Manufacturer/Supplier/Factory from China. Highly reliable, universal AC input/full range single output power supply.The AC/DC Power Adapter has an input voltage of 100-240V AC and an output of 5V, 8A DC. An EU 3pole AC cord is included.5v 8a power supply comes with a 1.2m cable with stripped ends (black=gnd, white=5V). our product can pass 100% full load burn-in tested.aslo we have UL and CE approved etc. Shenzhen Juyuanhai Electronic Co.,Ltd. 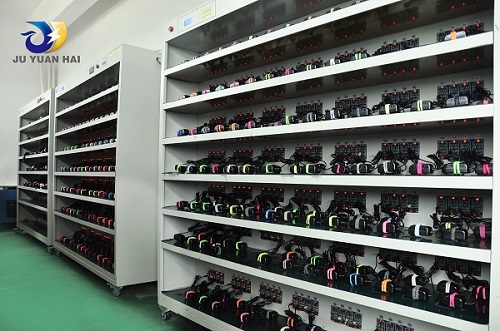 was established in 2009, a professional manufacturer specialized in researching, producing and selling products like Switching power adapter, Car charger, USB charger,etc. Our core values are honesty and credibility, and we always devote to provide professional technology support, solution and service for our customers. So far our products have been certified by CCC, PSE,TUV/GS, SAA, UL/CUL,CE,FCC,C-Tick, RoHS, CEC.DOE VI, and have been exported to Europe, North America, Australia, Africa, Middle East and Southeast Asia. All our products enjoy very high reputation among our customers. Our advantages: We have the perfect quality management systems to ensure products` quality; We have professional and skillful workers to offer the best service to all customers; We have first-class R & D team who very sensitive to the new technology and market trend, to help continuously update our products and technology, keep us more competitive. With the continuous efforts from all our workers, we grow rapidly. Warmly welcome domestic and foreign customers to visit our factory and achieve win-win situation. Company Name: Shenzhen Juyuanhai Electronic Co., Ltd. Factory Location: 3F,A8 Building,Langxin Industry Area,Qingnian Rd, ShiyanTown,Bao‘an,District,Shenzhen,Guangdong,China.